I have replaced the default HOSTS file on my Android device with the MVPS HOSTS file, a blacklist for blocking advertising, tracking and malware-distributing server names. Installing this blacklist confers the same browsing security, privacy, and performance benefits on my phone as I have long enjoyed on conventional workstations: ad blocking, faster web page loads and decreased bandwidth usage, mitigation of browsing behavior profiling and contextual ad targeting, and reduced exposure to malware infection by malicious web sites. Allow me to demonstrate the specific procedure that I used and hopefully save others some time. First, a quick background review. The MVPS HOSTS file is a regularly updated, community curated list of internet server hostnames (currently over 15,000 of them) known to be implicated in advertising, user habit tracking, and other unsavory security and privacy infringing sorts of activities. There are a variety of these lists packaged up by different parties, with no doubt significant overlap, but MVPS HOSTS is one of the oldest and best recognized as far as I am aware, and the one which I have used on all my Windows systems and those of my customers for many years. Other applications exist on the market that block ads and enhance browser privacy (often, in fact, leveraging MVPS HOSTS as an underlying database), but what I like about the HOSTS file method is, it operates in raw form and doesn’t require any separate application to be installed. A HOSTS file is designed to act as a local preemptive override for DNS resolution. All operating systems, including Windows, Unix, and Mac, have a place where a HOSTS file blacklist can be plugged, causing every attempt to establish network communications with the listed servers to be short circuited with extreme prejudice at the earliest stage of hostname resolution. The result is very effective. When I’m browsing the web, by virtue of using this tool, I see very little to no ads in page content. I never have to wait through an ad before watching a Youtube video. There are cases where it blocks behaviors in free standing installers and applications. It works so well that it’s become shockingly unpleasant for me browsing the web on any system that doesn’t have ad blocking – I can’t believe people live with so many flashing banners all over the place. If I accomplish anything here I hope to show that you don’t have to simply accept those terms. The mvps.org page already covers deploying MVPS HOSTS file on Windows. Let me show you how I deployed it on Android. A rooted device. “Root” indicates the condition where the operating system feature has been enabled (more properly, not disabled) which allows a process to escalate privilege to superuser to perform the kind of system administration tasks which will be necessary. If you’re running a stock ROM from a service carrier / hardware manufacturer, you’re most likely not rooted; custom ROMs almost always make root available. See this older but still informative guide to rooting for detailed questions and answers. There are many reasons to root your phone and flash custom ROMs that are out of scope of this article, but I encourage everyone to learn about it. In my case I’m running a custom ROM with built-in root, CyanogenMod 11 M12 d2lte on a Samsung Galaxy S3. A terminal application on the device. You’ll need a way to issue commands at the Unix shell. My CyanogenMod build prepackages Terminal Emulator for Android. Download it or something like it if you don’t have one. A computer, and the cable for transferring files to the device. You could technically download the HOSTS file right from the web to the phone, but the way I pushed it over was from a Windows system via the USB cable and MTP, so that’s the method I’ll detail below. Download the MVPS HOSTS file to your computer from the official mvps.org source. This is a zip archive, so extract the file entitled HOSTS inside. You only need that one file, and can discard the rest of the zip file’s contents. Rename the file from HOSTS (uppercase) to hosts (lowercase). Windows expects uppercase, Unix (which Android is) expects lowercase. The filename should not have a suffix. Connect your Android device to the computer via USB in ordinary media transfer mode (MTP). Copy the file, now entitled hosts, to a convenient drop location where you’ll be able to get at it easily. In my case I dropped it to my ordinary user data area in internal storage. 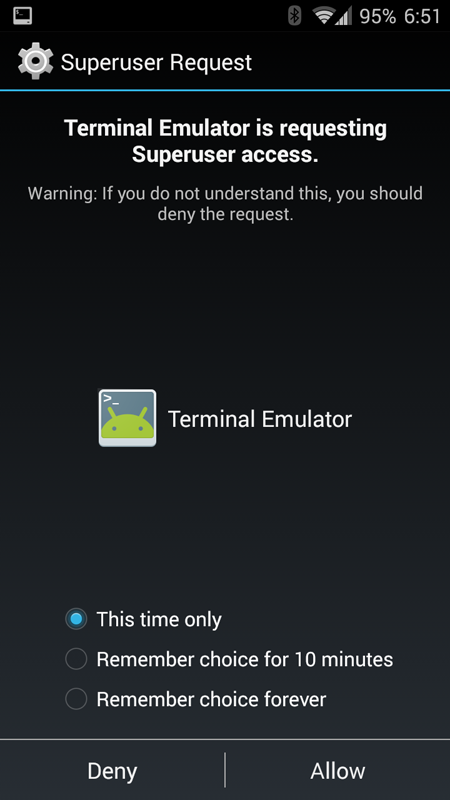 On your Android device, start a terminal instance and issue su to become superuser. You should be presented with a confirmation screen. If you get su: not found instead, your device is not rooted and you can’t proceed. If su succeeded, after you pass the confirmation screen, the command prompt will change from one ending in a dollar sign ($) to one ending in a hash mark (#). Navigate to the path where you placed the hosts file. On my device, for the drop location I described, I got there via cd /data/media/0. If you placed it somewhere else, figure out what that path is. You’re in the right place, of course, when you can issue ll hosts and see the file listed with its correct size, which presently should be upwards of 500k. The path to the hosts file on Android is /system/etc/hosts, but before we can modify anything under /system, we have to make it writeable. Builds may differ in whether this step is necessary, but on my ROM /system ordinarily stays locked down in read-only mode, so it is. Issue mount -o remount,rw /system to remount the /system filesystem in a writeable mode. For reference, you can determine what the mount state of /system is by issuing mount | grep system. The options are the 4th field, comma delimited, and will contain either ro when read-only or rw when read-write. Now that everything’s ready, issue cp hosts /system/etc to copy the hosts file to its permanent location. You can then verify a successful drop by issuing ll /system/etc/hosts to confirm the file appears at its correct size. If you had to change it to read-write mode before, you will want to return the /system filesystem to read-only mode now. Issue mount -o remount,ro /system to accomplish this. Feel free to then remove the copy of hosts from the user area drop directory by issuing rm hosts. Or delete it later with a file manager; doesn’t matter. Issue exit to get out of the su shell, and exit again to get out of the terminal session. That’s it, you’re done. A reboot is not required. The MVPS HOSTS file is updated roughly every 2-3 months by its maintainers, so make sure to keep it current to have the most up-to-date host filtering blacklist. The procedure for updating it would be in effect identical to the initial drop procedure.